AccuWeather, a major source of weather forecasts and warnings, announced a Mosquito Zika Risk Index on AccuWeather.com and AccuWeather iOS apps. Availability on the AccuWeather app for Android will follow soon. The first-of-its-kind index gives users a quick and easy way to view the likelihood of mosquito infestations that could lead to greater risk of contracting the Zika virus at a particular location in the contiguous U.S. The Index will help people understand where the greatest concentrations of mosquitos exist (which may carry other pathogens as well) and where and how this is related to possible Zika carrying concentrations. The Index is not a medical warning or diagnosis and decisions about one’s health and related risks and is not intended to be, those decisions should always be made in concert with medical professionals. The Index can alert people to relatively unsafe areas; keeping in mind that a Zika carrying mosquito could exist in safer areas as well. The Mosquito Zika Risk Index level (very low, low, medium, or high) is generated by evaluating the historical habitat for the mosquito species most linked with Zika and the latest scientific research on how weather affects Zika transmission by mosquitos, then combining it with the AccuWeather Day-By-Day 90-Day Forecasts. This innovative index benefits users by providing real-time insights they can use to make informed decisions to keep themselves, and their families, safe. People can access the Mosquito Zika Risk Index from the Personalized Forecasts Menu on the AccuWeather.com homepage. Select the Mosquito forecast and click the button labeled “Check Your Zika Risk” to open the Mosquito Zika Risk Index page. Risk level information for the user’s location will be presented at the top of the page. If Zika cases suspected to have been transmitted by mosquitos have been reported at this location, the number of cases will be displayed. Users can view details for additional U.S. locations by clicking on the map displayed on the page. An interactive timeline lets visitors see predicted risk levels over a 90-day period, with color coding to indicate the risk contours on the map. This is particularly helpful at this time of the year, when rapid changes to Zika mosquito risk occur as temperature patterns change during the Fall. Tapping the dates on the timeline triggers the map to show the index for different timeframes. Users of the AccuWeather app for iOS can access the Mosquito Zika Risk Index from the menu located in the bottom right corner of the screen. Expanding this menu and selecting “View Map” opens a map page with a gray search box at the top of the screen. Tapping on the search box permits users to choose “Zika Risk from Mosquitos” from a selection of maps. Users can then scroll around the map, zoom in and out by pinching the screen, and tap on an area to see the current Zika risk in that location. Color-coded risk levels, from low to high, displayed on the map make the information quickly and easily accessible and understandable. The Mosquito Zika Risk Index is AccuWeather’s latest product enhancement designed to save and improve people’s lives by providing contextually relevant information, in this case to reduce the risk of an infectious disease. In addition to ensuring safety with the most accurate weather forecasts and warnings, AccuWeather.com and the company’s iOS and Android apps already include a Pollen Index to help people protect themselves against pollen as an allergen. Having the most accurate forecasts and warnings also gives migraine or joint pain sufferers the information they need to avoid humidity, and people with asthma the information they need to avoid dry conditions. “This new Mosquito Zika Risk Index takes our efforts to use weather forecasts for improved health one step further,” said Smith. Smith also noted that the index is especially timely during this extraordinary hurricane season, when residents of Texas and Florida are experiencing a greater pooling of standing water due to Hurricanes Harvey and Irma, which may ultimately lead to greater infestations of mosquitoes. Dr. Joacim Rocklov, Associate Professor in Epidemiology and Global Health at Umea University, Sweden, urges caution about the threat of Zika virus following a major flood event. “The risk of Zika typically decreases in the first month following a flood event, then increases in the two- to three-month time frame before falling back to normal levels,” he said. Nearly 2 billion people worldwide rely on AccuWeather to help them plan their lives, protect their businesses, and get more from their day. AccuWeather provides hour-by-hour and minute-by-minute forecasts with Superior Accuracy™ with customized content and engaging video presentations available through smart phones, tablets, free wired and mobile Internet sites via AccuWeather.com, award-winning AccuWeather apps, connected TVs, wearables, smart homes, and connected cars, as well as radio, television, newspapers, and the AccuWeather Network cable channel. The Africa Travel Association (ATA) is a leading global trade association promoting travel and tourism to Africa and strengthening intra-Africa partnerships. Established in 1975, ATA serves both the public and private sectors of the international travel and tourism industry. ATA members include African governments, tourism ministers, tourism bureaus and boards, airlines, cruise lines, hotels, resorts, front-line travel agents, tour operators, and a media. ATA partners with the African Union Commission (AU) to promote the sustainable development of tourism to and across Africa. ATA remains concerned about the Ebola virus and its far-reaching effects, and related perceptions, on the travel and tourism sector in Africa. According to the World Health Organization (WHO), the most severely affected countries are Guinea, Liberia, and Sierra Leone, however, the Africa tourism industry has felt stark repercussions across the continent through economic losses, cancelled flights and bookings, closed borders, and negative perceptions. These impacts reach far beyond the borders of those affected countries. ATA urges the travel industry and traveling public to remain cautious, however, to acknowledge the immense size of the continent and to continue to travel to the vast majority of the countries that remain safe. With a landmass of 30.2 million square kilometers, the African continent is larger than China, India, and the United States combined, with its 54 independent countries. Now, more than ever, ATA hopes you will join our association in supporting, and standing in solidarity with Africa. ATA calls on travelers to make educated and rational decisions and cautions against the influence of sensationalized media. Africa has always suffered from challenges of perception relating to ignorance and a lack of understanding of the continent by citizens from around the world. Despite these challenges, ATA remains optimistic about travel and tourism to the African continent. In 2013, Africa welcomed over 65 million visitors, consistently increasing its share in the global travel marketplace. Africa is an exciting travel destination, one of world’s most dynamic travel destinations for tourists seeking for adventure, exceptional cultural exchange and heritage tours, diverse culinary experiences, unparalleled safari and wildlife opportunities, first-class beaches, and a wealth of investment opportunities. In pursuit of its mission, ATA believes that tourism is a powerful tool for promoting economic growth, job creation, investment and cultural exchange. 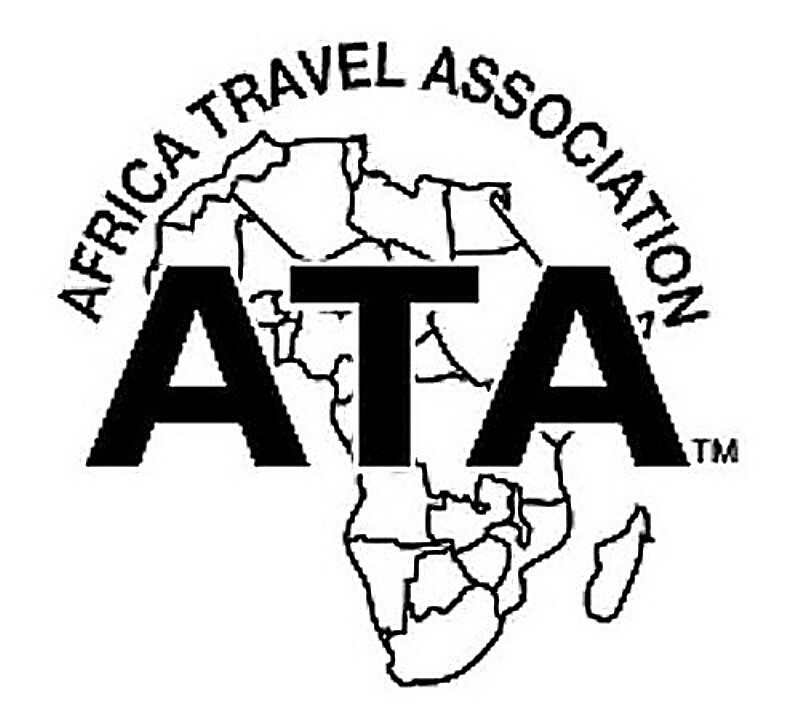 For more information on ATA, visit www.africatravelassociation.org or call 212.447.1357.